This is a heavy duty covered pouch. 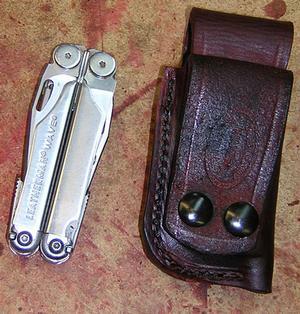 There are several great multi tools on the market but the quality of the factory supplied pouches have really slipped in the last few years. We came up with our own pouch taking the Simply Rugged philosophy – make it slightly over built. 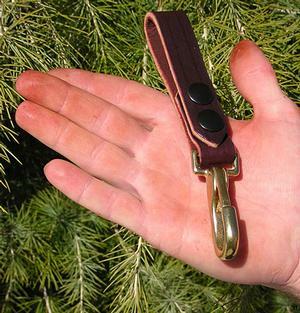 We use 2 heavy mil-spec black brass snaps to fasten it to your belt. 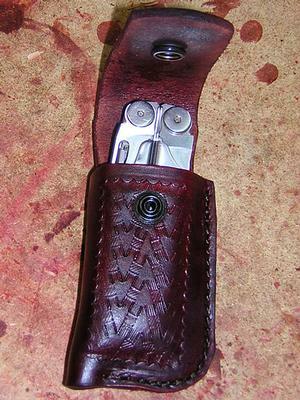 With the snaps you don’t have to thread the belt loop to attach this pouch to your belt. 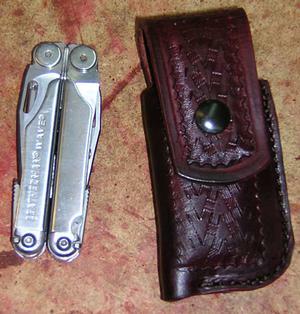 Made specifically for the Leatherman Wave (DIMENSIONS: 3/4″ (thickness) X 1 3/8″ (width) X 4″ (tall).